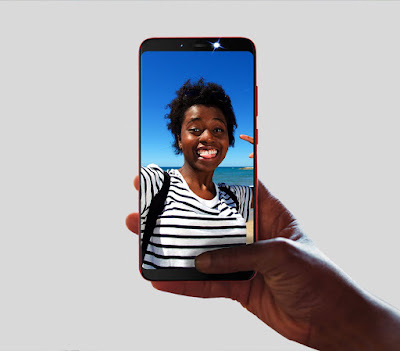 The Infinix Hot 6 is the standard iteration of the Infinix Hot series in 2018, and it was launched earlier in May alongside its higher variant, the Infinix Hot 6 Pro. The two smartphones are identical both inside and outside, and the only difference between them is in the memory department. The Infinix Hot 6 comes with a beautiful design with one of the latest design trends in the smartphone world; 18:9 aspect ratio. It also sports a feature that camera and selfie freaks would love; dual cameras on its rear. These, with a huge battery capacity and latest software features, make the Infinix Hot 6 a mid-range smartphone worth buying. The Infinix Hot 6 has the same specifications and features as the Infinix Hot 6 Pro, apart from the internal storage where it has a capacity of 16GB in place of the Hot 6 Pro's 32GB, and the RAM size which is 2GB in place of the Hot 6 Pro's 3GB. Otherwise, both devices are identical. We already discussed the specifications of the Infinix Hot 6 and Hot 6 Pro here. If you want a summary of the device's features, check them out below. 6-inch IPS LCD display with HD+ (720 * 1440) pixel resolution & 18:9 aspect ratio. 1.4GHz Quad-core Qualcomm Snapdragon 425 Processor. 16GB Internal Memory, expandable up to 32GB via microSD. 13MP + 2MP Dual Rear Cameras with PDAF and Dual-tone Dual LED Flash. 5MP Front Camera with LED Flash. Wi-Fi 802.11 b/g/n, Bluetooth 4.0. Android 8.0 Oreo with XOS 2.3 (Hummingbird). The Infinix Hot 6 costs N51,000 in Nigeria, 72,000 FCFA in Cote D'Ivoire and KES 13,699 in Kenya. The smartphone can be purchased from offline and online retail stores across the country. Why Not Share This Post? It Takes Just A Second!! Come on, hit us with a Comment. Love to hear what you think! You can Use Google Account To Leave a Comment, if You don't have a Google Account, You can add only Your Name, Click COMMENT AS >> Select NAME/URL >> Put your Name, (Leave URL empty if you don't have a website) >> then Write Your Comment in the Comment box and click Publish. If you're here to Spam, Sorry, it won't work. Let's enjoy and have a Reasonable conversation. LIKE US ON FACEBOOK & NEVER MISS A THING!